The momentum in the UK housing market continues to slow with the latest residential market survey showing that buyer demand has now fallen for 12 months in a row. Agreed sales and new buyer enquiries are down nationwide and the national price indicator was flat at the lowest reading since February 2013 weighed down by London and the South East, the Royal Institution of Chartered Surveyors survey also shows. The report says that 17% more respondents reported seeing a fall rather than rise over the month in demand and this subdued trend is also seen in other key indicators as both new instructions and newly agreed sales remain in negative territory. Sales also continued to fall in March, with 20% more respondents reporting a fall rather than rise, extending the run of negative readings stretching back to February 2017. Looking at the regional picture, respondents in virtually all parts of the UK noted either a flat or downward sales trend this month. The year ahead picture does look more positive, however, with 17% of contributors anticipating an increase in sales over the next year at the national level. Regionally, there continues to be significant variation in prices with London the weakest market with a net balance of -47% of respondents citing further price declines. Respondents in the South East, East Anglia and the North East, also reported prices to be falling but to a lesser extent than in the capital. Meanwhile, prices continue to drift higher across all other parts of the UK, with Northern Ireland, Wales and the East Midlands seeing the strongest readings. Looking ahead, the three month outlook for prices remains flat, and continues a trend which was first seen in November last year but further out, the expectation is that prices will resume an upward trend at a headline level with a net balance of +47% anticipating prices to be higher in the coming 12 months. On a regional basis the North West, Wales and Scotland returned the strongest net balances. Unsurprisingly, London remains the only region in which contributors envisage prices falling over this timeframe. In an additional question this month, respondents were asked whether they had seen an increase in the number of sellers withdrawing their property for sale from the market compared with a year earlier. Nationally, respondents saw no change. 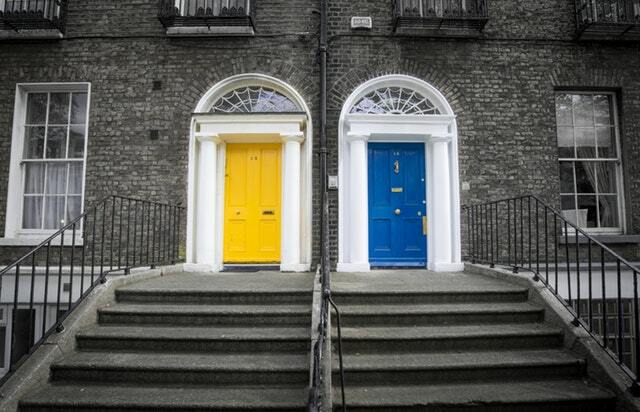 However, in London, 55% of respondents reported a rise in the number of properties being withdrawn from the market compared with this time last year with anecdotal evidence suggesting this reflects the differing expectations of buyers and sellers. ‘The latest RICS results provide little encouragement that the drop in housing market activity is likely to be reversed anytime soon. Apart from the implications this has for the market itself, it also has the potential to impact the wider economy contributing to a softer trend in household spending,’ said Simon Rubinsohn, RTCS chief economist. ‘This could make Bank of England deliberations around a May hike in interest rates, which is pretty much odds-on at the moment, a little more finely balanced than would otherwise be the case. The downshift in sales for the time being continues to be more visible in London and the South East with many other parts of the country continuing to show rather greater resilience. Feedback on expectations regarding transactions suggest this divergence will persist over the coming months,’ he added. There needs to be further incentives to boost the housing market, according to Craig McKinlay, sales and marketing director at Kensington Mortgages. ‘The findings reinforce trends we’ve been seeing across the industry for quite some time now, years of limited housing construction are still creating a bottleneck that is affecting all buyers on the property ladder,’ he said. ‘Although the Government has reaffirmed housing is high on its agenda, there is no quick fix to creating a fairer property market. Affordable housing supply is crucial to supporting buyers up and down the property ladder and relies heavily on the government’s ongoing support and collaboration with private developers and local authorities,’ he pointed out. ‘It’s not just about house building. We also need greater incentives to get buyers moving, removing barriers such as stamp duty for downsizers to free up larger properties for those moving up the ladder,’ he added. Richard Sexton, director, e.surv chartered surveyors, also believes that more needs to be done to boost the market. ‘The results are a further indication of subdued activity in the housing market, as a lack of new supply further tightens the bottleneck for those trying to step on, or up the property ladder,’ he said. ‘While the Government may have demonstrated that housing is at the forefront of its agenda with the recent exemption in stamp duty for first time buyers, this alone is not enough. The shortage of affordable housing is preventing many from becoming home owners, particularly those in the capital, where just 16% of loan approvals went to small deposit buyers,’ he explained. ‘We therefore urge the Government and industry to work closer together by embracing modern methods of construction to reduce cost and speed up efficiency, to deliver the hundreds of thousands of homes desperately needed,’ he added.